Consultations with trusted doctors, yoga, reiki, massage, all of that can be useful. As long as you don’t leave yourself out of the equation. No one lives in your body 24/7. The most well-meaning fertility specialist and the most seasoned acupuncturist can’t be there to receive the guidance that comes with an overheard word, an image, a dream, an experiment testing the fertility friendliness of the food on your plate. There is an innate, ingenious, infinitely fertile Authority waiting to be claimed by you! 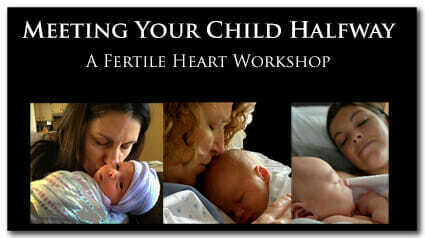 Not a single one of us can be fully fertile without learning how to hear the voice of that inner Authority! Give a listen and start tapping into that power right now. 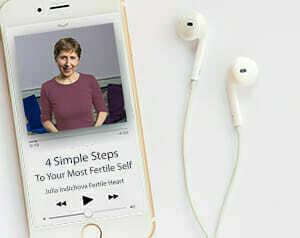 In this brand new 4 Simple Steps to Becoming Your Own Fertility Authority and Your Most Fertile Self audio program you’ll learn about four essential steps all of us must take if we are to travel this scenic road to parenthood being our own strongest allies.